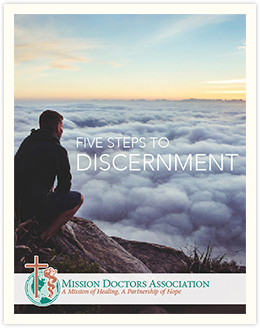 For doctors who have ever considered the long-term service with Mission Doctors, there is a no obligation Discernment Weekend at our Mission House. Join our Mission Team for the weekend and learn about the challenges and joys of mission life. We will discuss current and potential sites and you will have an opportunity to discuss their questions, concerns, and expectations with the Mission Team. The program begins on Friday and ends on Sunday afternoon. Contact our office for more information. Join us for a Sacred Music Concert Mother’s Day Weekend at the Cathedral of Our Lady of the Angels by Dr. Wayne Shandera, Physician, Medical Professor and Concert Organist. Click here for more information and tickets. © 2015 Mission Doctors Association.